Some 1,500 Canadian Tim Hortons franchisees will receive a copy of a proposed settlement in two class-action lawsuits against their parent company today. 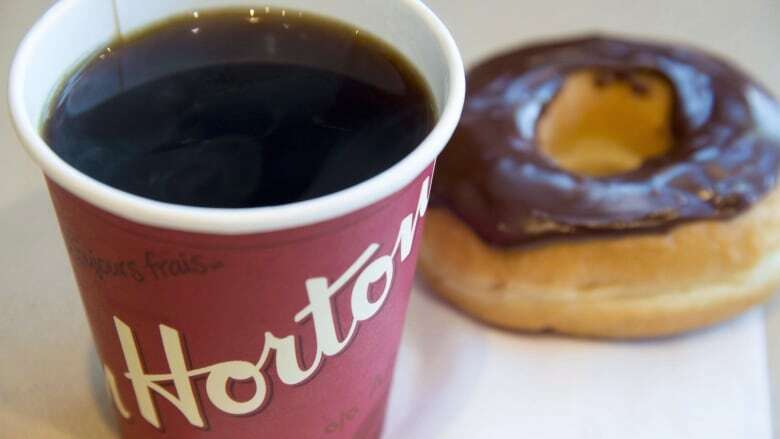 Some 1,500 Canadian Tim Hortons franchisees will receive a copy of a proposed settlement in two class-action lawsuits against their parent company Friday that could wrap up a long-standing battle between the coffee-and-doughnut chain and some of its restaurant owners. "The settlement agreement allows us to move forward with all our franchisees focused on the same thing — building the Tim Hortons brand and business in Canadian communities," Duncan Fulton, chief corporate officer for Tim Hortons and its parent company, Restaurant Brands International, wrote in a statement. Lead plaintiff and president of an unsanctioned franchisee group, the Great White North Franchisee Association, Mark Walker and RBI subsidiary TDL Group Corp. signed the agreement filed in Ontario Superior Court on March 6 addressing allegations of advertising fund mismanagement and other complaints contained in two lawsuits filed in 2017. The agreement includes many of the same points the two parties submitted in a non-binding term sheet to the judge about a month ago. Under that proposal, the coffee chain's franchisee advisory board will regularly review advertising fund spending for added transparency, advisory board member terms will be shortened by a year and the company will institute electronic voting for the board. Tim Hortons will also pay $10 million over two years for local advertising efforts and $2 million to the GWNFA's law firm. The agreement also includes new provisions that the two parties' lawyers negotiated since the term sheet was submitted, including more detail on how the advisory board will function to increase transparency. It also will allow franchisees to negotiate some future contracts on their own, like insurance and dairy, after the current contracts expire. The proposed settlement offers some protection from retribution to the six GWNFA members, including Walker, served with brand protection and breach of media policy notices last year. Tim Hortons will rescind those notices and has agreed to extend the franchisees' agreements by 10 years, in addition to whatever amount of time remains on their current contracts. Franchisees will have until mid-April to accept the settlement or request to opt-out, though a judge will make an official deadline determination at a later date. The two side will meet again in court in late April when any dissenting voices will be heard and the judge will rule on the proposed settlement. If approved, the settlement would close the chapter on the two Canadian class-action lawsuits, but the company continues to face court action south of the border. Late last month, a Minnesota-based franchisee filed a suit in a U.S. court alleging the company engaged in price gouging and provided Tim-Minn Inc. with misleading statements that led it to invest millions of dollars into the venture. None of the claims have been proven in court and RBI has said it disagrees with the operator's point of view. Tim Hortons is also facing a U.S. class-action suit from U.S. franchisees alleging RBI charges "significantly above" open market prices for necessary products and services. RBI said at the time that it "does not reflect all the facts."